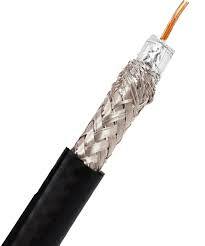 Cardinal Supply Inc. is a full line distributor of electronic wire and cable. Since 1992, Cardinal Supply Inc. has been one of the East Coast’s largest suppliers of electronic wire and cable for the temperature control & fire/security industry. We have been one of the east coast’s largest suppliers of multi-conductor cable for the temperature control industry. Cardinal stocks a wide range of cables from 26 AWG to 12 AWG, PVC and Plenum rated, for control, fire alarm, security, and telephone/data applications. Our plenum cable is available with different color jackets for ease of identification. For the computer and telecommunications industries, we stock Cat 5/6 modules, face plates, patch panels, patch cords, crimp tools, connectors, cable trays, distribution racks and more. “Great selection and service. Cardinal Supply is my go-to source for all of our wire & cable supplies.” Jason P.
© Copyright • Cardinal Supply Inc.